Mewtwo meditates and concentrates on the enemy. Mewtwo picks enemies up and slams them on the ground. This also makes Mewtwo's next move two times as powerful. 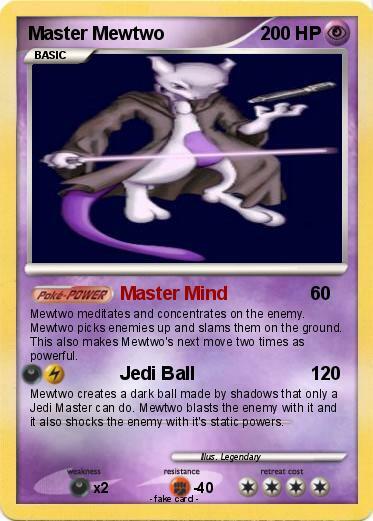 Mewtwo creates a dark ball made by shadows that only a Jedi Master can do. Mewtwo blasts the enemy with it and it also shocks the enemy with it's static powers.